Do you get tired of having to queue to collect the keys of your rental car? If you are looking for the fastest way to start your holiday Goldcar offers its new Key´n Go where you can pick up the keys to your hire car without going to the counter. Discover our new key collection service with which we want to revolutionise car hire for our clients so they do not have to wait when picking up the keys for their hire car. Currently Goldcar offers you the possibility to rent a car at the Goldcar offices like Alicante, Valencia, Seville, Majorca, Ibiza, Roma, Porto or Faro. 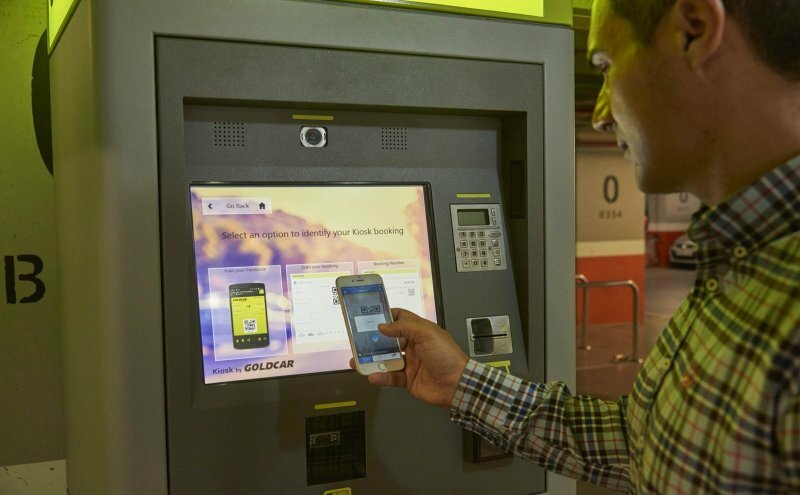 Hire from Goldcar and collect the keys directly at the Goldcar Key´n Go, bypassing the counter. It will take you less than a minute. Key´n Go is a system of quick collection for keys for car hire reservations, without the need for the previous step of visiting the counter. Forget the queues for this holiday and have your car keys in under a minute. - Collect the keys for your vehicle. If you´re tired of the endless queues when collecting the keys to your car, take advantage of our car hire at affordable prices with Goldcar KeynGo and a Unique package. • Without franchising and without blocking any deposit. • All possible damages are covered. • Free PREMIUM roadside assistance.